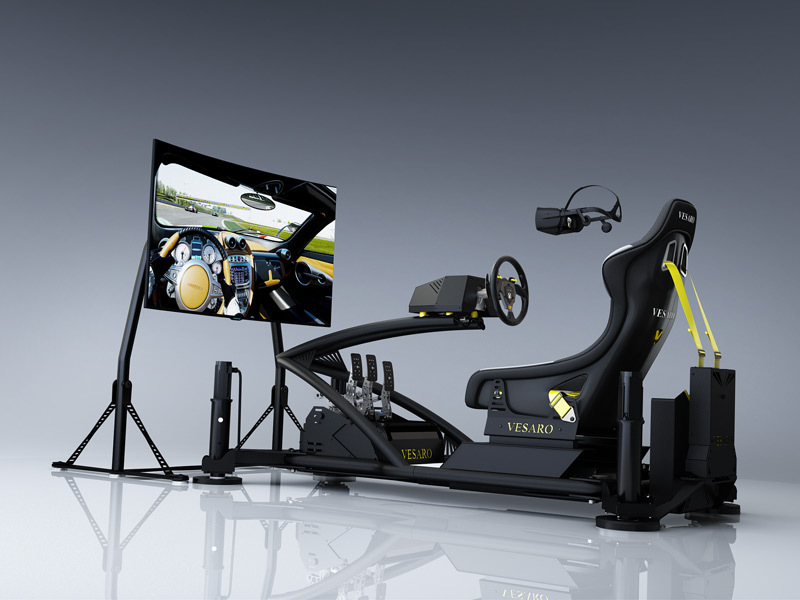 Professional VR solution with the flexibility of a large curved single display which can be utilized as the main display for racing when not using the VR headset, as well as for setup and control. Designed for private or home customers requiring high end Motorsport grade components for personal race driver training or home enthusiasts who require the best. 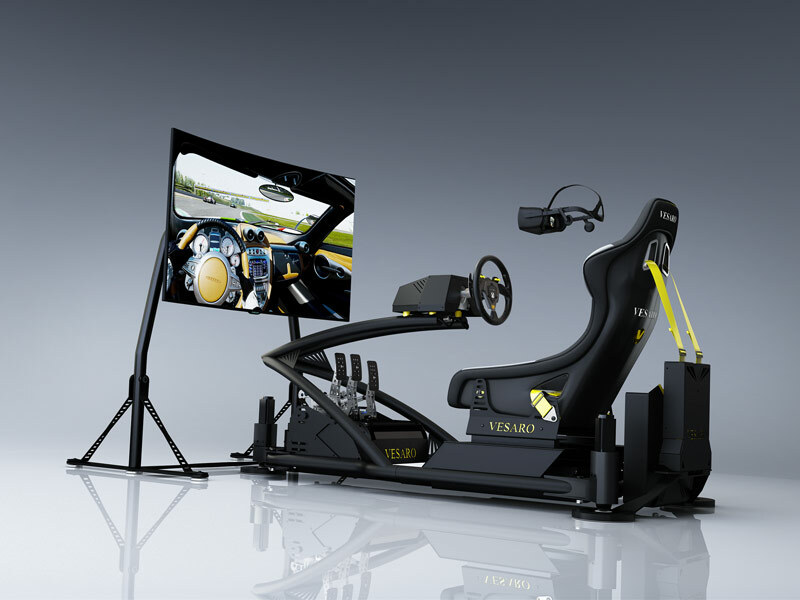 All systems include fully integrated VR solution, professional direct drive steering systems, motorsport grade pedal systems and our GT style driving position(optional)..